Mugearite: Mineral information, data and localities. A sodic basaltic-trachybasalt where Na2O-2>K2O. 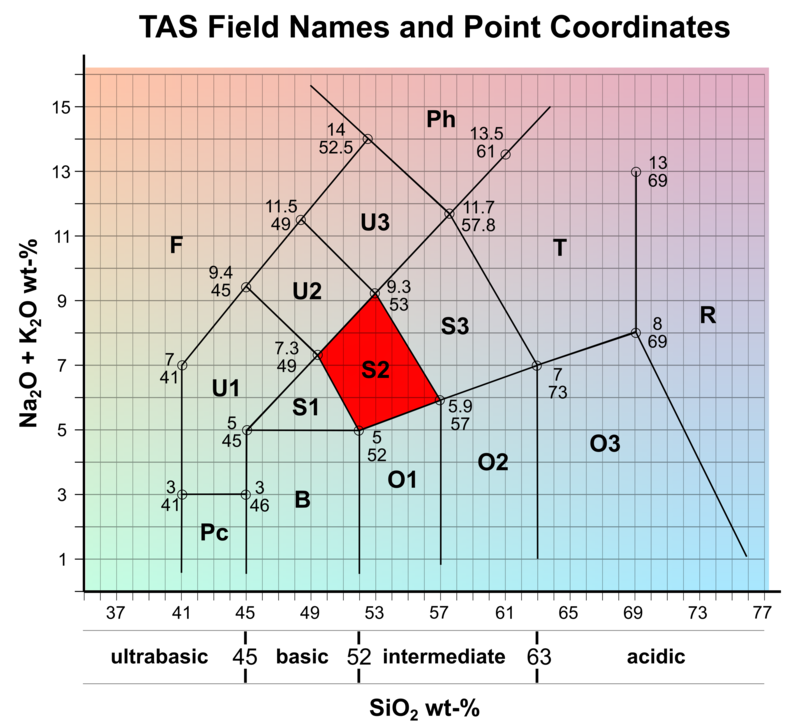 Mugearite is found in field S2 in the TAS diagram.